I'm writing this post first so that the Jan 7th posts will appear in the blog as they happened. After opening the late morning at White Rock Pier, I made the short but slow drive to Blackie's Spit, with a stop at Starbucks for good measure. 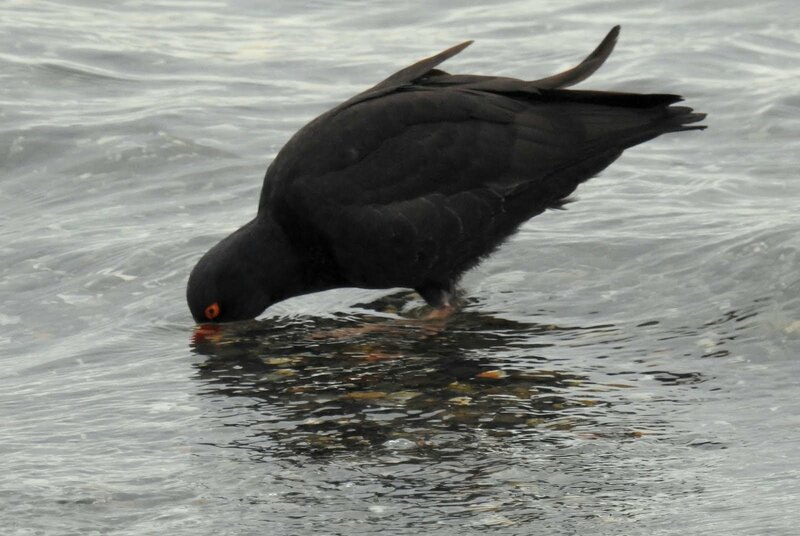 My target bird was Black Oystercatcher. I had seen them at Blackie's early in 2016 and there had been recent sightings reported. 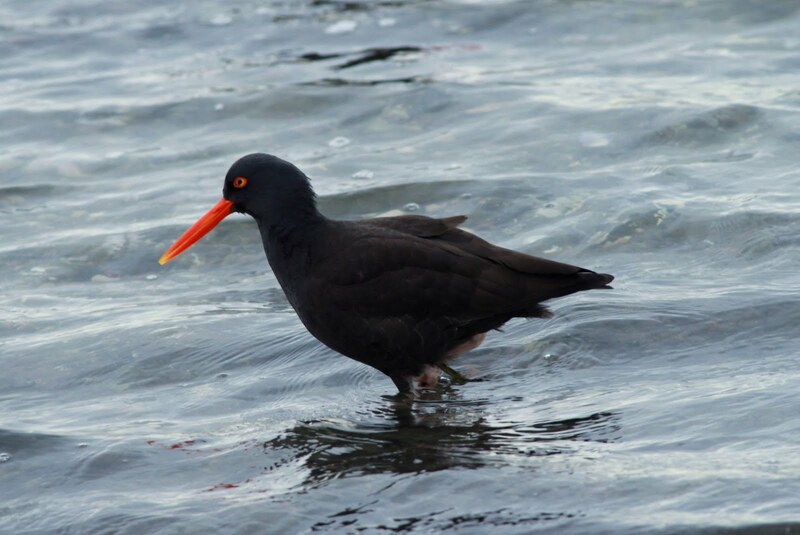 These birds can be seen year round off the Tsawwassen Ferry Jetty, but parking can be difficult and the shoreline is much longer there. 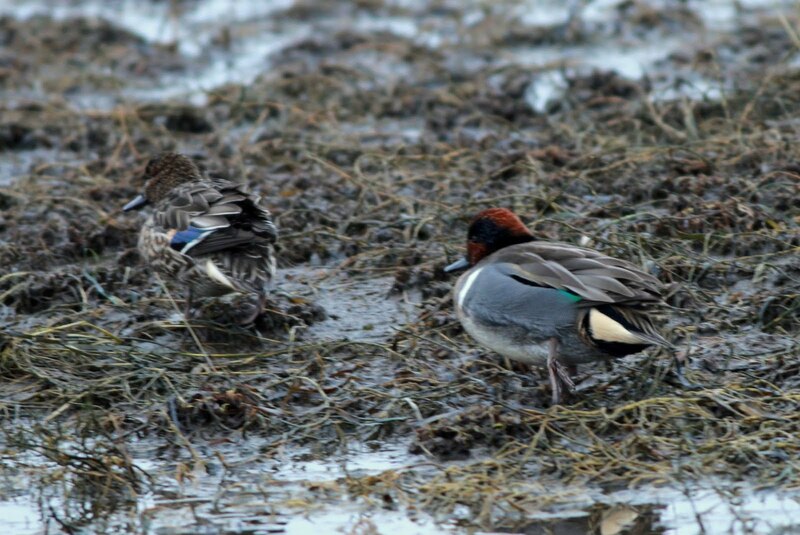 After parking, the first bird I observed was a Green-winged Teal off the western side of the spit. I think of these as fresh water ducks, but I've learned that they winter in both the Atlantic and Pacific Oceans. This was my first sighting of 2017. I didn't have to go far to find the Oystercatchers, there was a small group of them along the west side of the spit. These birds are big, about 18 inches long with a wingspan near 36 inches. Their beaks are long and strong, designed to crack open Oyster shells. 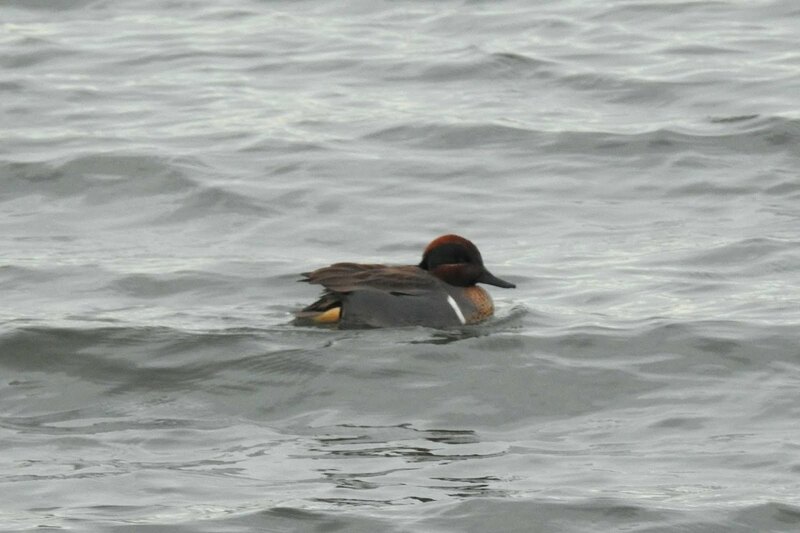 Once again this was my first sighting of the year, #31. They can probe quite deeply to find hidden shells. This shot was a happy accident, it turned out quite well. The Green-winged Teal and a probable mate had made it to the land and were tracking through the muddy pools, maybe looking for the perfect nesting spot. 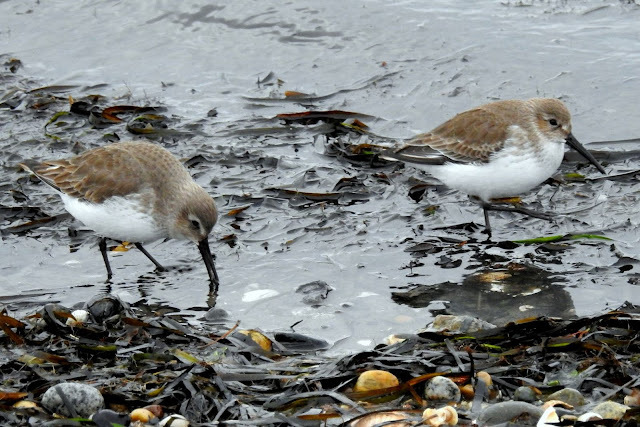 Once again Dunlin were the predominant shorebird, but not as numerous as at White Rock Pier. I noticed a small bird off shore and at first assumed it was a Horned Grebe, but the shape was not quite right. 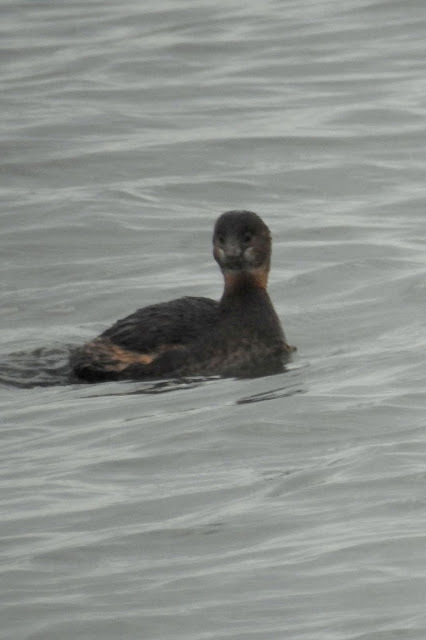 It was a grebe, but a Pied-billed one. 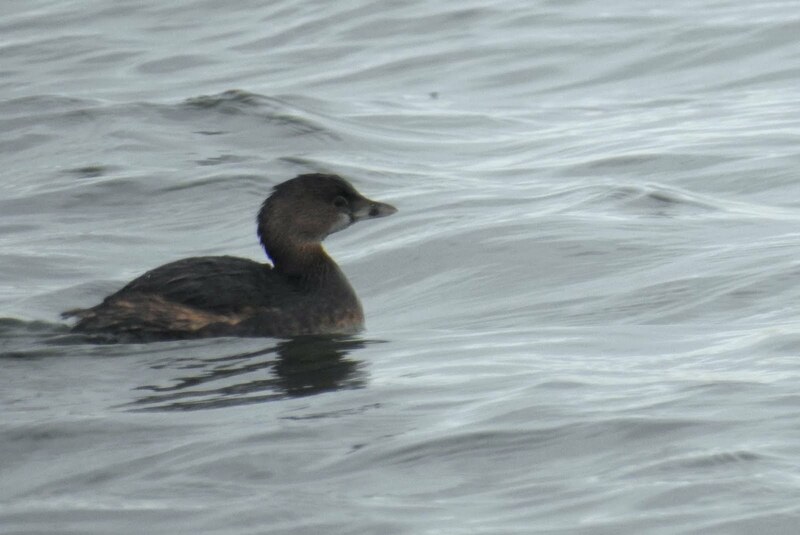 In the winter, the distinctive black ring around the bill fades away, but there was a trace of it on this one. This was another first for 2017. This shot shows the ring coming in. This was my last bird of the day. 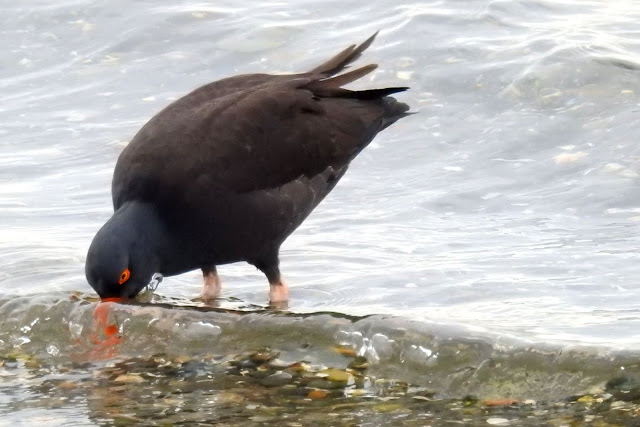 Between White Rock Pier and Blackie's Spit, I added 13 species to my 2017 sightings.